While the 2014-15 season was hailed by some as a comeback season of sorts for Scott Gomez, it should be instead labeled one of his last kicks at the can. This is a soon-to-be 36-year-old we’re talking about who once won the Calder Memorial Trophy as the league’s top rookie (15 years ago!). His 34 points in 58 games with the New Jersey Devils last season were no doubt decent, but, for a guy who once scored 33 goals and 51 assists in his prime (2005-06)? Like a war-torn vet, he’s seen a lot in other words (not a lot of it good). And, now, he’s signed a professional try-out agreement with the St. Louis Blues to try and prolong his career at least one more year. To be clear, Gomez has earned the right to try and play the game as long as he wants. He should consider the following though: The Blues, should he make the roster, will be his fifth team in the last five years. In honor of him, here are five other former stars who couldn’t see the writing on the wall and instead inked their names on multiple one-year deals before calling it quits for good. Maybe calling Mike Comrie a star is being overly generous. However, there was a time when teams couldn’t get enough of the guy. Everyone wanted (and nearly got) a turn. So much so that, when he held out at the start of the 2003-04 season, he prompted a bidding wars of sorts. In fact, the Oilers had a deal for eventual-Hart Memorial Trophy-winner Corey Perry on the table that then-GM Kevin Lowe railroaded, eventually having to settle for Jeff Woywitka and two draft picks (Rob Schremp and Danny Syvret) from the Philadelphia Flyers. So, uh, nothing then. Obviously, the careers of Perry and Comrie went in different directions. Perry is still an Anaheim Duck. Comrie played for five other teams before he was done, including multiple stints as an Ottawa Senator and a second tour of duty with the Oilers, signing a one-year deal to return to his hometown team in 2009-10. The following season, he signed a one-year, $500K deal with the Pittsburgh Penguins, scoring six points in 21 games before a recurring hip problem claimed his career. Wish we could say it was too soon. 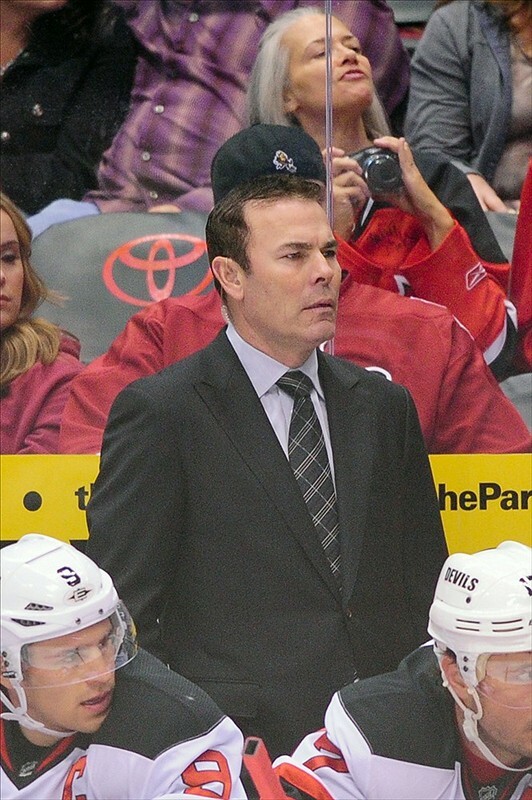 A worthy Hockey Hall of Fame inductee in 2012, Adam Oates’ last few seasons left a little something to be desired, namely stability. One of the league’s premier, albeit underrated, setup men in his prime, Oates went from the Washington Capitals and Philadelphia Flyers in 2001-02 to the then-Mighty Ducks of Anaheim in 2002-03 and finally to the Oilers in 2003-04. It should be noted that Oates kept on producing up until his second-to-last season in the league, with 45 points in 67 games with the Ducks. That last season, though? Just 18 points in 60 games. Oates never did win a Stanley Cup, but he came close multiple times. His Capitals reached the 1998 championship series, as did the Ducks in 2003. Had he stayed past the lockout with the Oilers, he would have theoretically reached another (only to fall short one more time). Thankfully, he was spared that one final heartbreak. 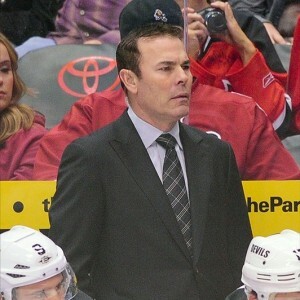 Of course, as an assistant coach with the New Jersey Devils in 2012… Yeah, you can’t make this stuff up. From one Capital to another, Peter Bondra will always be known for his time in D.C., amassing two 50-goal seasons and 472 goals & 825 points there over 14 seasons. It’s those two and a half that came afterward that everyone forgets. He got traded to the Ottawa Senators for current-Capital Brooks Laich and futures at the 2004 trade deadline. After the lockout, he joined the Atlanta Thrashers for one year. The next, he was still looking for work into December. Evidently, no one knew he scored a decent 39 points in 60 games for Atlanta, it being Atlanta and all. He eventually signed with the Blackhawks, a deal that paid off by giving him a shot to get to 500 career goals. That was pretty much all she wrote. By the time Ontario-native Eric Lindros finally got to play with the Toronto Maple Leafs, he was well past his prime, with concussions having taken their toll. 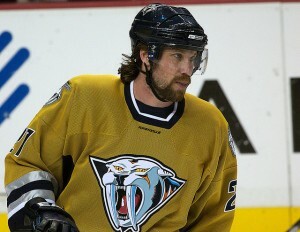 It was 2005-06, just after the lockout, and numerous wrist injuries this time limited him to 33 games and 22 points. His one-year deal expired without him making a significant impact, with him going on to sign another with the Dallas Stars. He finished that 2006-07 season with 49 games played and 26 points, but just five goals, which were obviously a far cry from the 47 he scored in 1995-96, the year after he won the Hart. That just proves Lindros, considered once to be a phenom, was far from a one-year wonder. He just held on for a few too many. Forsberg was famously part of the package that Philadelphia sent to the Quebec Nordiques for Lindros. Whereas it will always be debated whether Lindros belongs in the Hall of Fame, no one is questioning the legitimacy of Forsberg’s entry in 2014. Coincidentally, injuries claimed the careers of both. After playing in Sweden during the 2004-05 lockout, Forsberg—who up to that point had only played for one franchise in the NHL—ironically signed with the Flyers for two years, with a groin injury limiting him to 60 games (75 points) in the first of the two years of the deal. In Year 2, he got in only 57 split between the Flyers and Nashville Predators with foot problems—abnormal arches in both feet—starting to take their toll on his play. Yes, he was 33, but it was the first time he scored less than a point per game (55) in his career. In 2007-08, he remained an unrestricted free agent up until February, when he signed with Colorado for the balance of the season. Following two more years in Sweden, he attempted one more one-year NHL comeback in the middle of the 2010-11, again with Colorado, but played just two games due to ongoing health issues. It’s just one more thing Lindros and Forsberg have in common.